I love it when I come across really fun wedding ideas and I don’t think you can any more fun than a vibrant and colourful Mexican wedding! 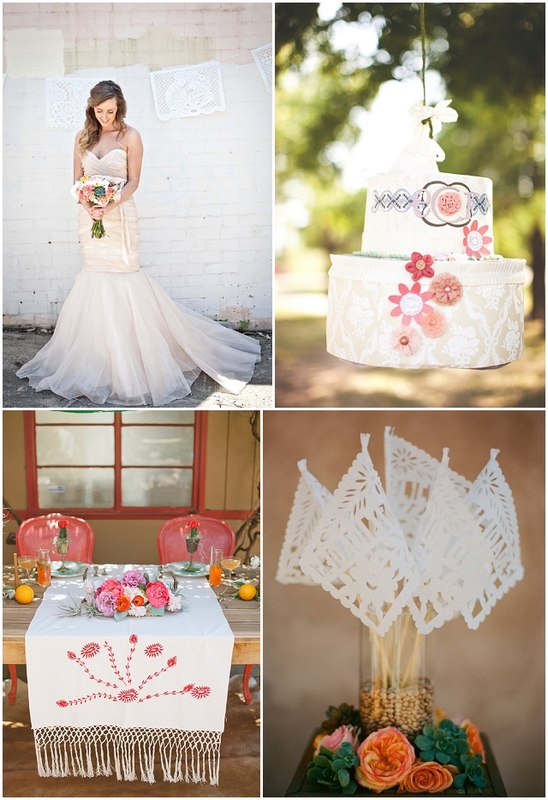 So I had a little hunt around the net to see what kinds of Mexican Wedding Inspiration | Ideas I could come up with, trust me this is gonna be a big wedding trend in 2013. 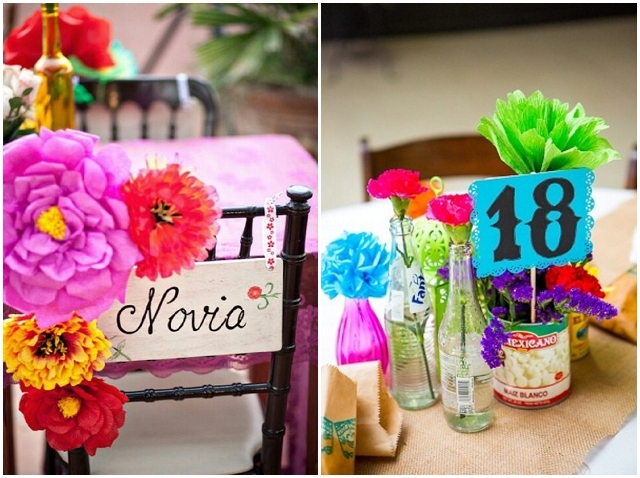 Fiesta style wedding inspiration incorporates the brightest and boldest of colours. Think sunny yellows mixed with blues, greens and reds or super bright oranges clashed with hot pinks and pops of turquoise. Huge paper flowers can adorn the backs of chairs, replace your traditional wedding bouquet or be simply worn in your hair. 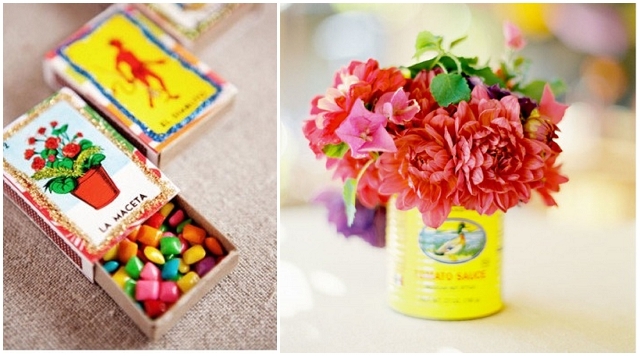 Mexican tin cans and old bottles of pop make great table centerpieces and aren’t these matchbox Mexican wedding favours the sweetest? 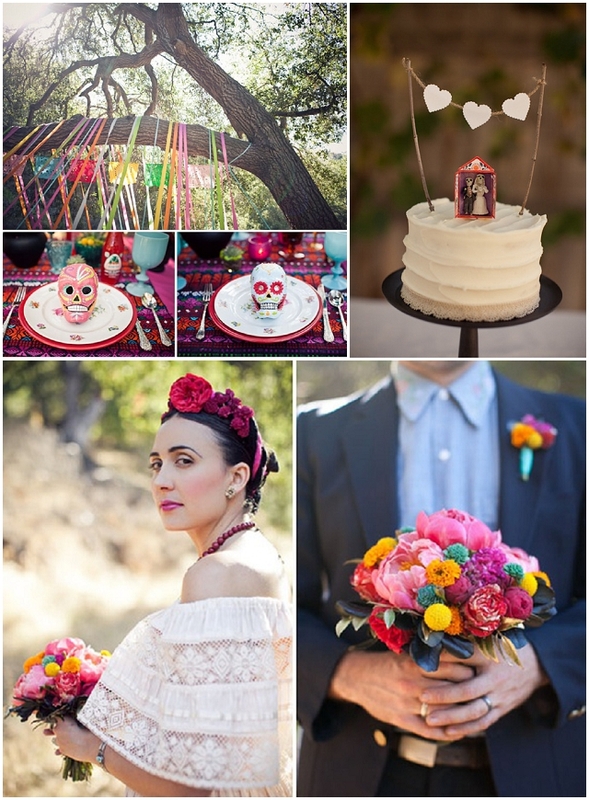 The Day Of The Dead is a huge festival in Mexico and if you’re looking for a quirkier take on Mexican wedding inspiration, this it! Skeleton cake topper… I love it! Mexican Fiesta a little too boisterous? Maybe Mexican Chic is more your thang? 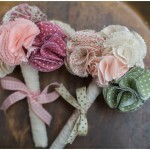 Loving the muted pastel colours of pale pinks and greens! Mexican papel picados are a cute alternative to traditional English bunting and how awesome is this wedding piñata? Imagine the fun you’ll have breaking that open. 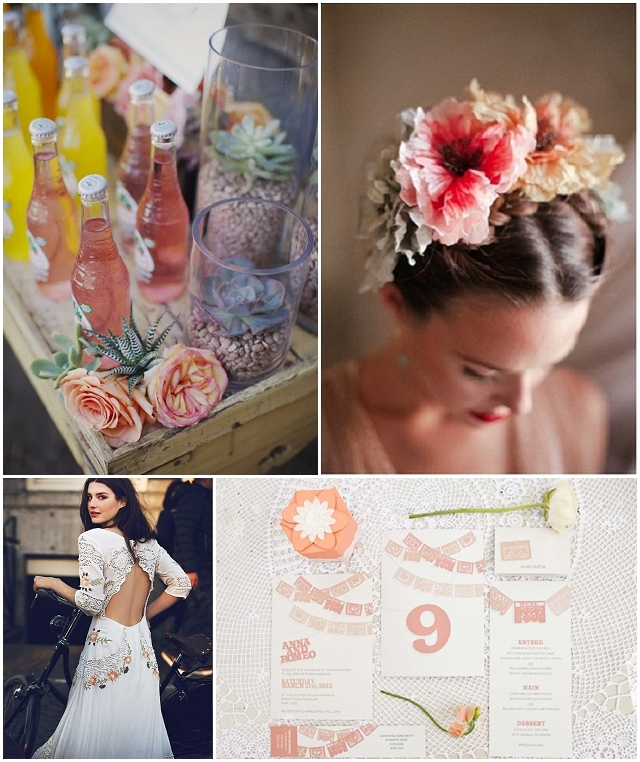 Bright turquoise, pinks and oranges are great colours for your Mexican themed wedding, tone them down for a pretty vintage colour pallet. Succulents, cacti and air plants make wonderful additions to your floral styling and definitely give your wedding that Mexican vibe. 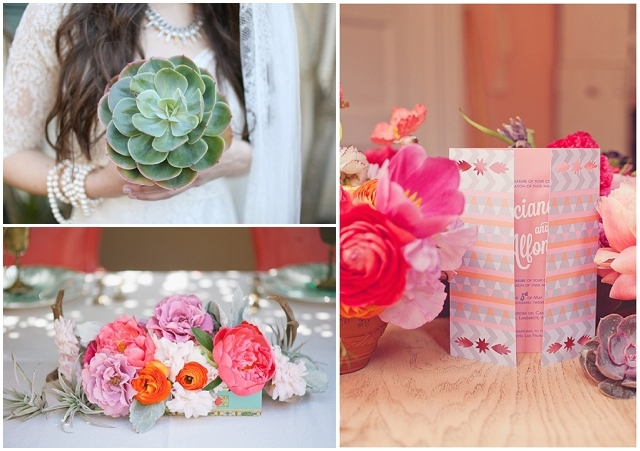 For your wedding stationery, combine Aztec or geometric prints with beautiful Mexican floral motifs. 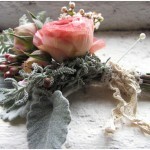 For your bridal hairstyle? Don a Frida Kahlo inspired floral headpiece with braids. And the dress? 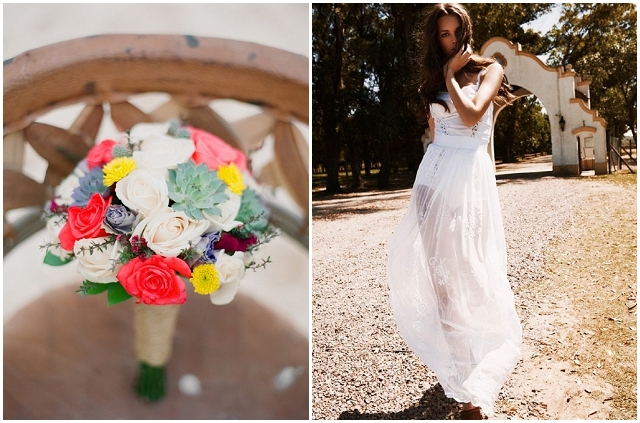 I’m totally crazy about these gorgeous Mexican style wedding dresses. The embroidery is super pretty and has that relaxed vintage / bohemian feel. 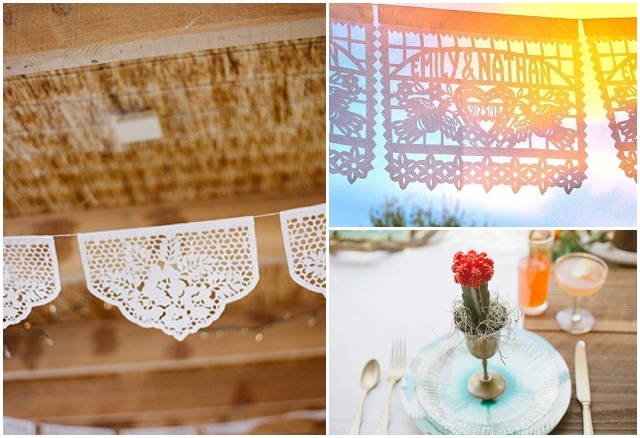 So there you have it Mexican style wedding inspiration. 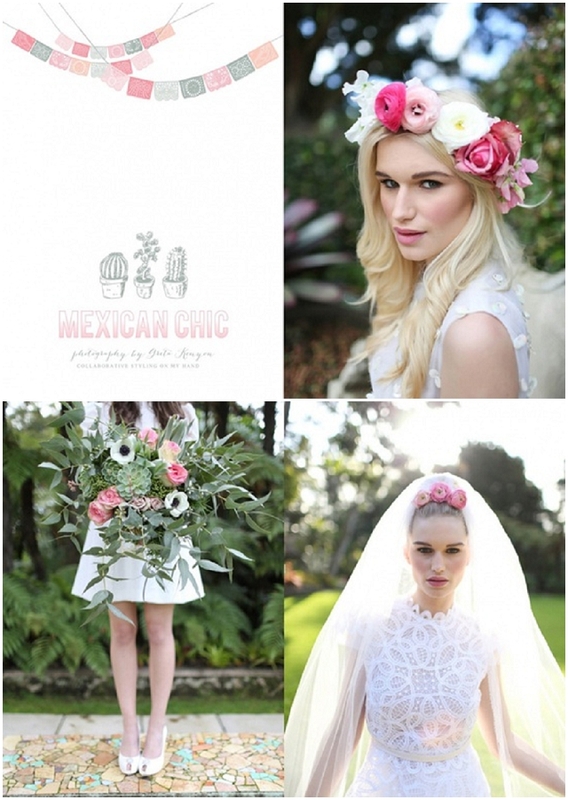 Mexican Fiesta, Mexican Chic or Vintage Mexican… it’s gonna be a huge huge thing in 2013! What do you think? muchos locos or muchos buenos?